Expired 2wk ago . Last validated 2mo ago . Used 57 times. Levy Munoz I am validating this deal. 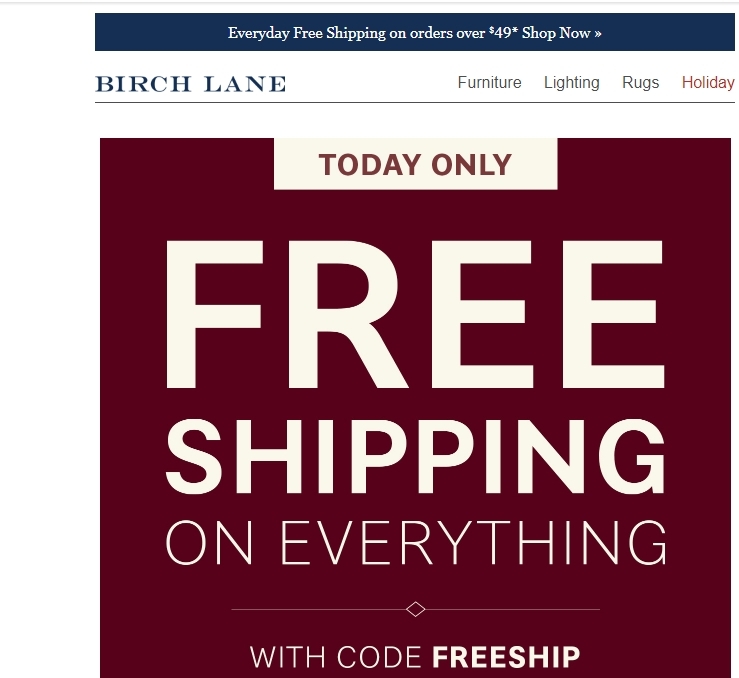 Promo code is active. 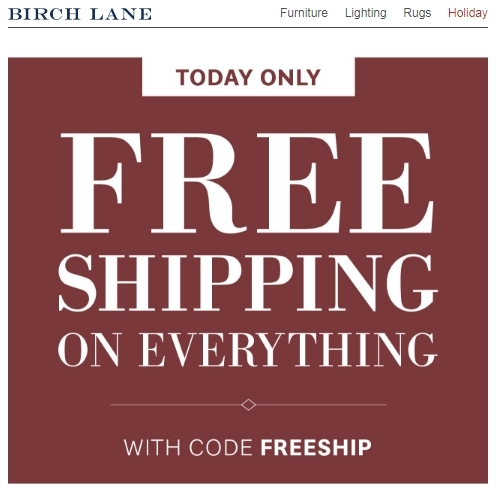 Get Free Shipping on All Orders at Birch Lane. 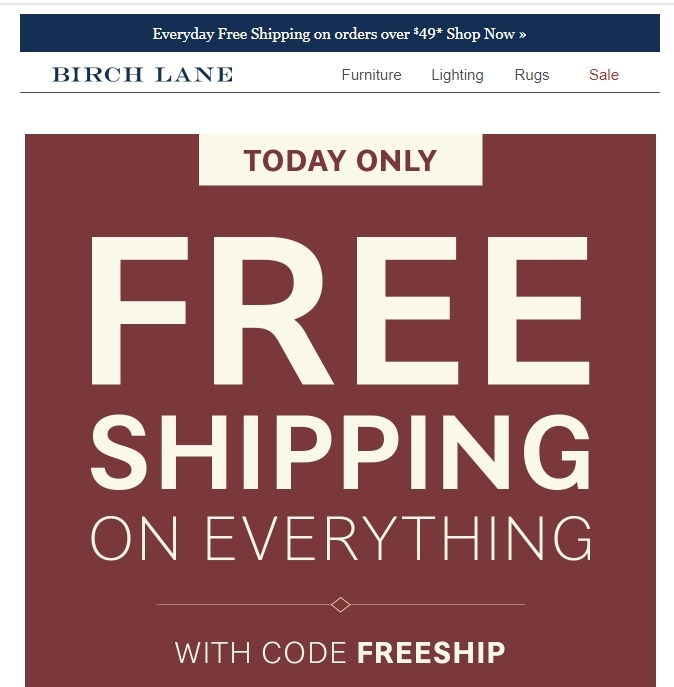 Offer expires 11/12/17.